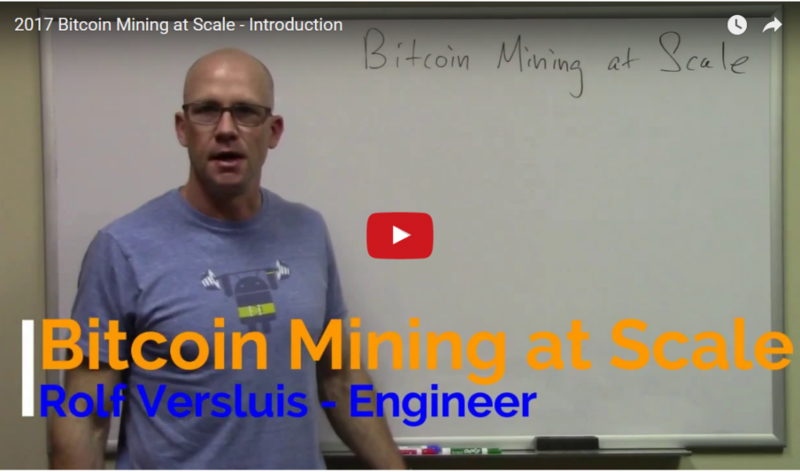 There’s a lot to discuss when talking about Bitcoin Mining at Scale. I put together an introductory presentation on the topic. Here are a couple of pictures of a Bitcoin mining facility I am currently consulting with regarding the construction and operation. Thanks for the videos, very informative. Rolf, I’d be very interesting in your opinion as to why companies like the recently launched Giga watt have similar pricing models to genisis. Rather than selling contracts why dont they simply offer there investors a percentage of whats actually mined ? Surely htat would be more fair. As of writing this they’ve raised 12mUSD so i guess they must be offering something worth investing in. I just dont udnerstand why they dont go for the simpler, straight forward model where everyone takes a cut of mined returns. Appreciate any thoughts. Very good written article. It will be supportive to anyone who utilizes it, including me. Keep doing.